Chanel S.A. is a French privately held company owned by Alain Wertheimer and Gérard Wertheimer, grandsons of Pierre Wertheimer, who was an early business partner of the couturière Coco Chanel. Chanel S.A. is a high fashion house that specializes in haute couture and ready-to-wear clothes, luxury goods, and fashion accessories. 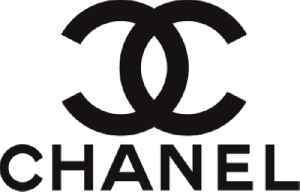 In her youth, Gabrielle Chanel gained the nickname Coco from her time as a chanteuse. As a fashion designer, Coco Chanel catered to women's taste for elegance in dress, with blouses and suits, trousers and dresses, and jewellery of simple design, that replaced the opulent, over-designed, and constrictive clothes and accessories of 19th-century fashion. The Chanel product brands have been personified by fashion models and actresses, including Inès de La Fressange, Catherine Deneuve, Carole Bouquet, Vanessa Paradis, Nicole Kidman, Anna Mouglalis, Audrey Tautou, Keira Knightley, Kristen Stewart and Marilyn Monroe.